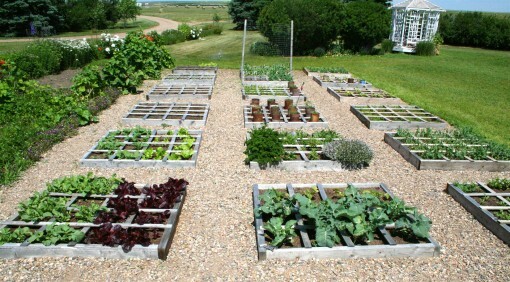 Square Foot Gardening was posted on July 16th, 2011 and is filed under Healthy Living. This entry has 13 comments. You can follow any responses through the RSS 2.0 Comment Feed. Hey guys! Today I thought it would be fun to do a post on our garden. We have a special garden…because it’s a square foot garden! And yes, it’s different than just raised beds. We all love our new way of gardening so much, even though it’s only our second year into it! 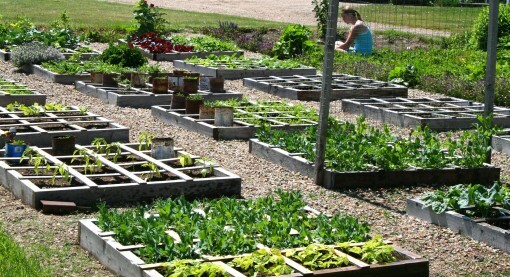 What is Square Foot Gardening? It’s a gardening system done in boxes; using a special mix of soil (actually none of your dirt is involved!) and a grid system with each box. 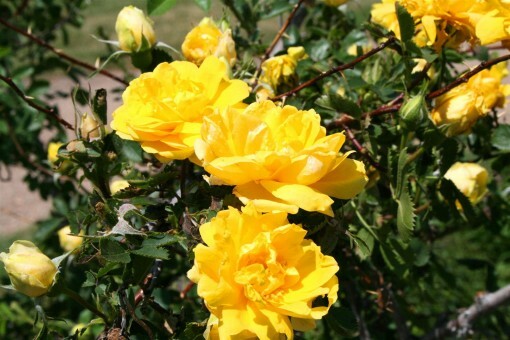 There is practically no weeding, easy watering, and everything is extremely compact. In each box you get 100% of the crop you usually would get, but in 20% of the space. It’s more efficient, very productive (the produce we’ve received last year was absolutely incredible compared to row gardening), saves time, it’s prettier, economical, easy to protect from pest and the weather, and very eco friendly. The first year you use a special mix of different types of composts and every year from then, you use your own compost. It’s very green, earthy-hippy type of thing (which I am not into). To learn more you can check out the Square Foot Gardening book! These pics were taken a little earlier this year, so the plants have matured a bit more since then. This is our red leaf lettuce which I’m loving in salads right now! 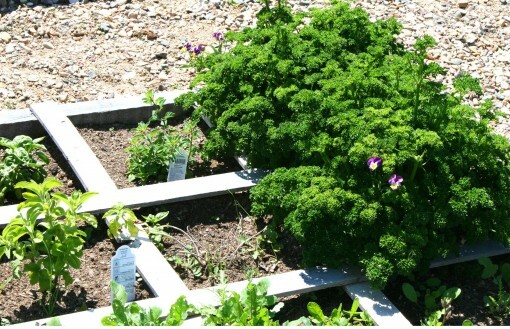 Our beautiful parsley…no one has bad breath here. Broccoli plants, something we’ve just started growing. So fun to try new plants. This year we’re trying leeks which I think is cool. I’m obviously not familiar with them, because the other day I picked a load of the baby leeks thinking they were chives. Oh well. Maybe that’s gourmet…baby leeks on baked potatoes. Maybe. much more produce and it’s bigger and better than with row gardening! the first year you do it, it can be a little expensive with all the soils you buy, but it definitely pays for itself and saves you money in the long run. But if you have just one or two boxes it’s not bad at all. I believe we put up 8 boxes the first year. So, not very many cons. I’m in love with this style of gardening and will definitely keep using this method if I have my own family someday. Oh, look…I’m weeding the strawberry patch by the garden. How virtuous. Do you keep a garden? What is your favourite vegetable to plant? 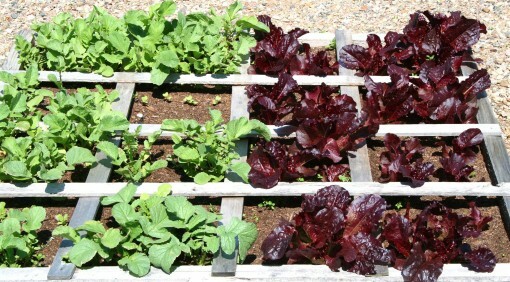 Have your heard of Square Foot Gardening before? thanks for sharing your garden with us! I’ve been wanting to start one but didn’t know where to begin! I’ve never seen a garden planted this way, pretty neat! I do garden, but just a little. My husband maintains it more than I do. We’re growing a few vegetables plants and a mint and lavender plant. I can’t wait til they start producing! Girl, where do you live that is GORGEOUS!! What spectacular gardens. Can I visit?! And my #1 compost bin is getting impatient for me to clear it out…lol..when I borrow a digital camera will up load pics of said garden. 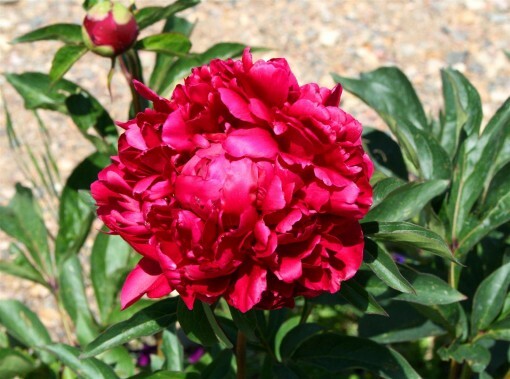 What did you use fif your garden paths? I am constantly weeding my paths! Jaime – We used gravel to make paths! It’s beautiful and keeps the weeds out. Nice and neat ! Love it!